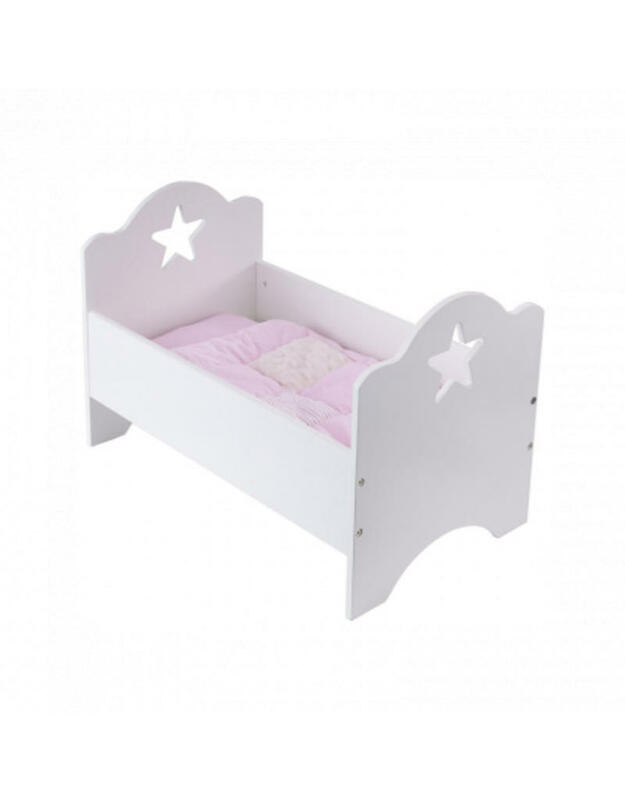 White wooden doll bed with cute star cut out details. 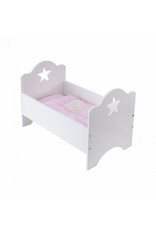 Easily supplemented with one of our doll bedsets in pink or grey. 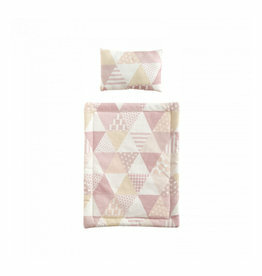 Doll bed set in a pink triangle pattern that fits perfectly in our doll beds. Pillow and duvet included.